As another year has gone by, the collaborative robots market introduced many innovative cobots with an aim to ease production and further explore the human-machine collaboration concept. Ahlam Rais singles out three of the most efficient and cool cobots of the past year. The collaborative robot (cobot) market is expected to grow from 710 million dollars in 2018 to 12,303 million dollars by 2025, at a CAGR of 50.31 % during the forecast period, states a recent report by market research firm, Markets and Markets. The demand for cobots is increasing on a global scale due to the need for human-robot collaboration in factory set-ups as well as to quickly and flexibly set up production lines to meet frequent product change-overs. This enhances the overall production process across diverse industries. In this background, MM International brings to you some of the most stunning cobots of 2018. Launched globally in October 2018, the easy to install ‘TM Series’ collaborative robot by Omron offers multiple vision functionalities. Capable of automating processes such as picking, packing, and screwdriving, this cobot helps manufacturers to reduce programming time through its intuitive programming interface. 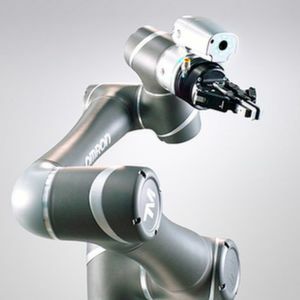 The new cobot is also equipped with a built-in vision and integrated lighting feature which assists manufacturers to view objects in a wider angle. Comprising of image sensing functions including pattern matching, bar code reading, and colour identification, the TM Series proves advantageous for inspection, measurement and sorting applications. The cobot also meets the safety requirements for collaborative industrial robots i.e. ISO/TS15066. Last year, Universal Robots unveiled its latest cobot series – the E-Series Cobots. Available in three versions – the UR3e, UR5e and the UR10e, the cobots are quick and easy to install. Boasting of a built-in, tool-centric force or torque sensor, the E-Series cobots ensure greater precision, sensitivity and also aim at increasing productivity at the production lines. The cobots also offer an intuitive programming interface. The smallest cobot – UR3e comprises a payload of 3 kg and is capable of undertaking high precision tasks along with light assembly tasks without any difficulty. The UR5e with a payload of 5 kg proves to be ideal for automating low-weight processing assignments while the UR10e makes processes such as packaging and palletising easy and also automates tasks of up to 10 kg. The flexible and lightweight cobot by Kuka which was launched in 2018 is highly versatile and can be used for numerous functions including loading, unloading machines, packaging, precise testing, reliable assembly, handling, difficult research tasks, and much more. 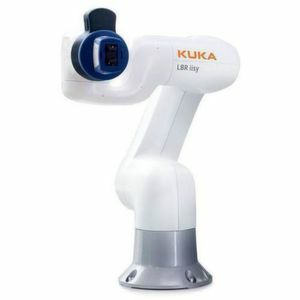 The six-axis cobot is easy to operate and can also be reprogrammed with ease to carry out new tasks. With a payload of 3 kg and a weight of 18,8 kg, the LBR iisy is integrated with high-grade joint torque sensors in all six axes. A striking feature of the cobot is that it remembers every activity that is carried out and hence, if the activity is interrupted it knows exactly where to begin from. The LBR iisy can be programmed to adapt automatically to new work stations and responds to the slightest of external forces and also offers certified collision protection. All the three cobots are already playing an active role across numerous industries. 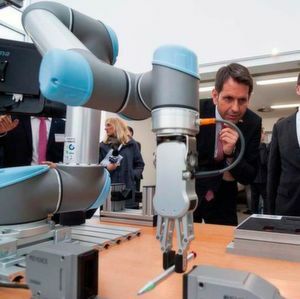 With the increase in demand, companies are also undertaking research activities and aiming to develop more technology advanced cobots for the benefit of the manufacturers’ production lines. With so much progress happening, one thing is certain: Cobots are here to stay!